It's not an iPhone 7 year, but that's a good thing. For years now, Apple has staggered the introduction of its new iPhone models, filling in the gaps by introducing new-and-improved S models of the most recent generation. On Wednesday, Apple announced the 6S. It might not be the massive transformation that the iPhone 6 was, but the iPhone 6S brings welcome upgrades that iPhone lovers will be dying to try. 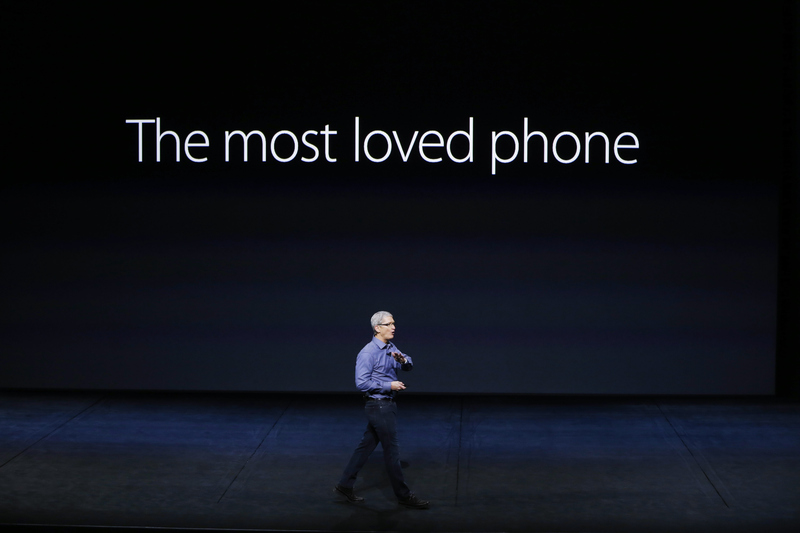 "They will change everything," Tim Cook said of the phones. Throughout recent years, Apple has used the S models to introduce software upgrades or new high-tech features without drastically changing the appearance of the phone. For example, with the iPhone 4S, Apple introduced Siri. With the 5S came the fingerprint sensor on the home button. These models also brought other operational upgrades, like better camera quality and faster processing speeds, but they remained very similar to their predecessors in shape and size. With the iPhone 6S (and 6S Plus), Apple has done it again, introducing a more advanced touch screen, a better camera, and a faster processor. And lest we forget, it comes in rose gold! Apple flirted with breaking tradition this time around, introducing a new color choice for the iPhone 6S. Oh, and it won't bend, if you were worried (which you probably shouldn't have been). None of the changes are especially dramatic, but the key changes will be much appreciated by fans. Perhaps the biggest upgrade — or, at least, the one that will take the most getting used to — is the new touch screen. Known as 3D Touch, the new system recognizes three different types of taps. There's a tap, a press, and a deep press. The differences in pressure allow the iPhone 6S to offer more shortcuts and options within apps. They could also allow you to screw things up even more when you accidentally sit on your phone — but that's TBD. As for the color options, Apple has revealed a rose gold version of the iPhone 6S. It's the same shade that's available for the Apple Watch, although it wasn't available for the iPhone 6 or 6 Plus. iPhone 6S owners will also have the advantage of a bend-proof device: Apple has upgraded the shell of the phone. The new phones will be made with Series 7000 aluminum, whereas the 6 and 6 Plus are made with Series 6000. The Series 7000 is the same material used for the Watch.